Our clubs are where Rotary’s humanitarian work begins. At weekly meetings, members not only catch up with friends and hear what’s happening in our communities, they also exchange ideas for creating positive change. But there's one topic which is not usual meeting fodder: mental health. It doesn't matter if you are in Berlin, Baghdad, Belize or Boston. Stigma hinders open discussion and without open discussion, how can we take appropriate ACTION as Rotarians? A recent journal article in World Psychiatry addresses, in an academic manner, STIGMA. It is thorough with substantive global research. Take a look - then self-reflect - and Take Action. Think about the last time your Rotary club had Mental Health as a program topic...we can assist you in providing insight and action for your club. Our RAG's hope is that we can empower and educate our members to be the global spokespersons to begin breaking the barrier of STIGMA. It's up to each of us to take action! 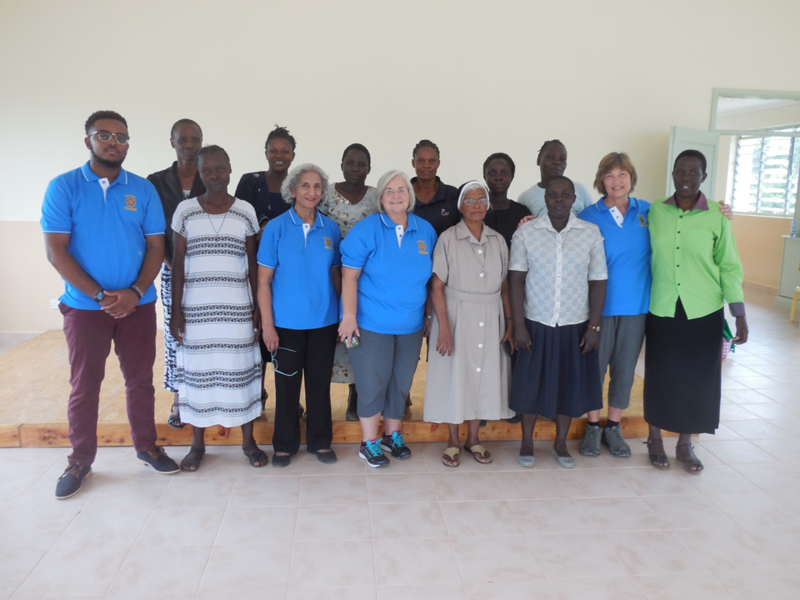 We have returned from Kenya where we laid the groundwork for the Maanasi model of Rotarians working together, academic evaluations and teaching, and training of 9 women case workers from 9 villages, evaluation of children and adults who suffered from depression and anxiety, alcohol abuse, and cerebral malaria. The training was intense - all day from 8 am to about 6 pm. Three of our Johns Hopkins University nurses (Karin, Penny and Moses) from our inpatient unit and my husband, Jay, came with me - at their own expense. One of our nurses Moses, is from Kenya and knows Swahili and helped a lot. The caseworkers were bright, eager to learn and knew the lessons we taught by the time we left. What we discovered was that our friend, Sr. Agnesita, could treat them, but medications are scarce and she will have to send away for them from Nairobi. So we are raising funds for medications first. We are yet to figure out how they will be acquired. We are helping to charter a Rotary club in Bungoma, Kenya to help them out. We have also tried to locate an academic source of support at the University of Nairobi. It will work if people like you lend a hand in raising funds for a Global Grant. Our goal is to raise $10K and get other clubs to pitch in to gather $30K. If you or your club/district want to support this evidence-based model of providing mental health support in remote villages, please connect with our RAG!